Everyone should create a career development plan that will help them identify their goals and support their career paths by considering the needs of the company. Employers can be able to draft a plan by having a template, then urge all supervisors to complete it with the help of reviews of their employees’ annual performance. This will help them determine the need to improve employees’ skills by providing an individualized training program. How are you going to prepare your career development plan? Below are some basic and step-by-step instructions. 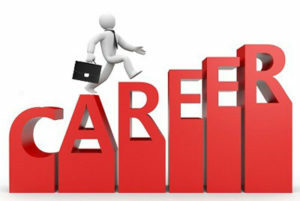 The title “Career Development Plan” should be written on the first page of the document, with your complete name written on a separate line below the title. If necessary, you may add a date and a signing section where you and your supervisor sign the form to indicate mutual agreement. Create a separate page that contains your job information such as your current job title, date hired, current department, department when hired, as well as the names of all your supervisors since the date you were hired. Try to identify your specific career development goals. It is best to insert a chart stating the training classes offered that are available within or outside the company. Find out when and where you can begin these classes in the future. Try to identify college courses that you can complete so you can earn a certificate or degree. Include this in your “Continuing Education” chart. Take the opportunity to make a chart for on-the-job activities where you also learn additional skills. This should include identifying the trainer, specific tasks and responsibilities performed, as well as the job skills required to complete them. You can conclude the document with a brief paragraph stating your agreement with the plan.